Ep 115 : Inbetweenisode Two - John Dalton - gently does it . . . Including Teresa Oaxaca, Pamela Wilson, Mia and Michel Bergeron, Mario Robinson, Conor Walton, Danielle Krysa aka The Jealous Curator, Dina Brodsky, Antrese Wood, Maria Stoljar and Patricia Watwood, this episode is packed full of juicey arty goodness. 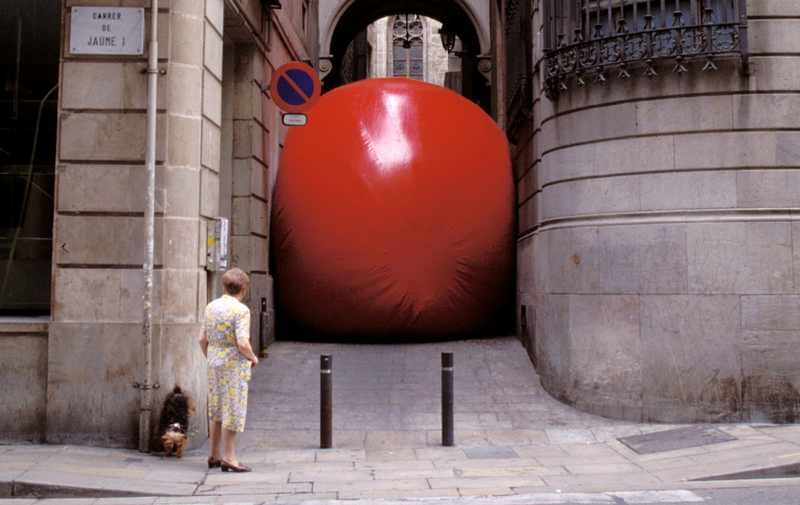 Cover image is of The Red Ball Project by artist Kurt Perschke. Thanks for the podcasts John, I have listened and enjoyed every one of them. 40hours an episode , thats a lot of time. Subscribed to your patreon now, you were right, I kept meaning too, and kept forgetting. Thank you for this mixture of insight from all over the art world. I had to laugh at Mario Robinson telling everyone to use oils, not watercolor. One constructive criticism: I was hanging on every word until the reading at the end. The life got sucked out of the podcast and I lost interest.